I have a confession to make: I LOVE cleaning and organizing! But before you imagine that my house is perfectly clean all the time, let me assure you that it’s not. Even though I do enjoy cleaning and organizing, I don’t obsess over it. I’m not a “neat freak,” and I can overlook mess and clutter when I need to. I decided years ago that I wouldn’t let my desire for a clean house interfere with relationships in our home. After I returned home from my recent trip to Kansas, I felt a bit forlorn. Everything in our home seemed to be out of order. The past couple months of Mom being away from home (at the hospital, planning the funeral, and then traveling out of state for several days to bury my father) had taken a toll on our home. Even though my children have daily chores and they usually do them without complaint, without someone around to keep order, it just wasn’t staying very clean (which is understandable considering all our family has been through the past few months). So, the morning after I got home from my trip, I wondered where to start first. Our schedule was off, our house was a mess, and I felt overwhelmed. I decided to start with our finished basement, which is also an office, homeschool room, play room, computer room, sewing area, library, exercise room, etc. It looked like a tornado had come through it! Lots of hard work (with my children helping), and several trash bags later, it was wonderfully clean and orderly again. 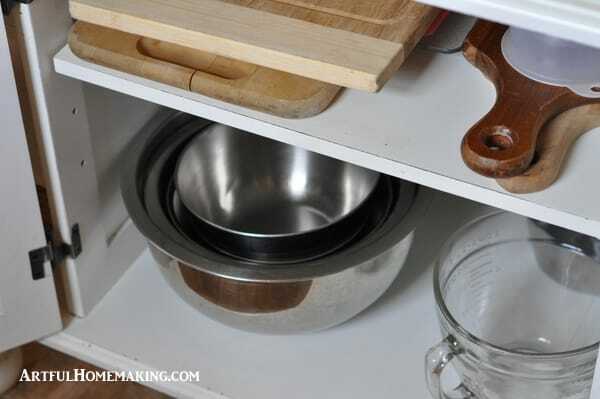 Encouraged by the accomplishment in the basement, next I tackled the kitchen pantry. It was also completely out of order. Apparently no one had been putting things back where they belonged, and it was in need of being completely reorganized. My husband took the kids to run errands, and I was left all alone surrounded by the mess I had already removed from the pantry. I decided the current system hadn’t been working well, so I came up with a new one. Now we have a neat and orderly system that is working well for us so far. Sometimes we just need to reorganize and use the space we have in a different way. We don’t have much storage in our kitchen, but I’ve found that being creative with what we do have can greatly improve the situation. 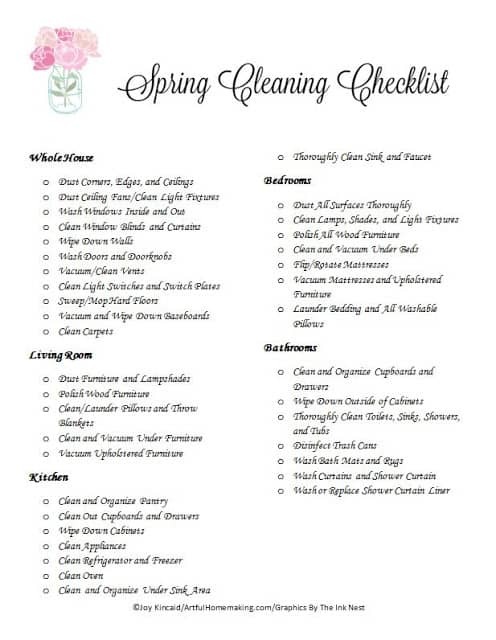 To help myself stay on track, I designed a Spring Cleaning Checklist. I’ve already checked off “clean and organize pantry!” We’re working our way through the other tasks on the list as we have time. 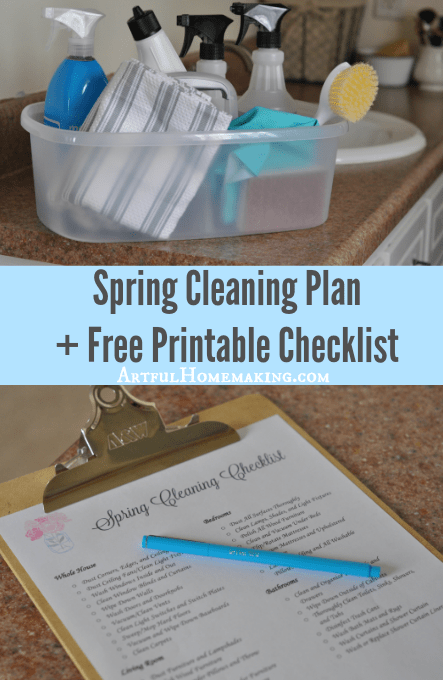 Enter your email in the form below to download the free printable spring cleaning checklist! I have my cleaning supplies all ready for some serious cleaning. I sometimes enjoy making my own cleaning products, but the past few months I’ve loved having these beautiful cleaning supplies to use. They all came from Grove Collaborative (formerly ePantry). 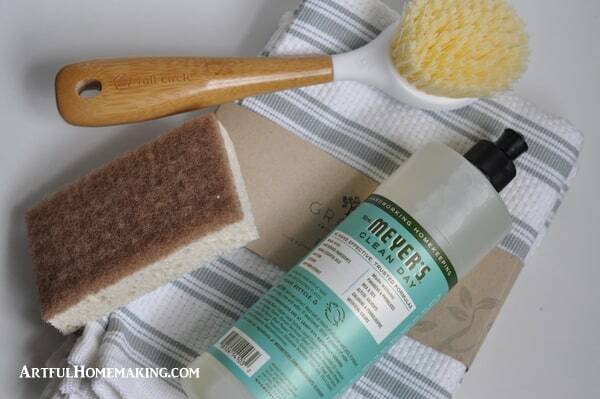 They supply natural cleaning and health and beauty products. I’ve loved everything I’ve received from them. It’s fun to get your cleaning supplies delivered right to your doorstep, especially when they’re this beautiful—they inspire me to clean! Springtime is the one time that I also love cleaning. There’s just something so rewarding about making our homes fresh and clean for springtime, isn’t there? Thank you for the free printable checklist; very useful! I agree, it’s fun to clean in spring! 🙂 Thanks so much for the feature, Richella! I’m so sorry to hear of your father’s passing away. It’s great to have a list like you’ve created when you are just feeling overwhelmed and don’t know where to start! I’ve already downloaded it. 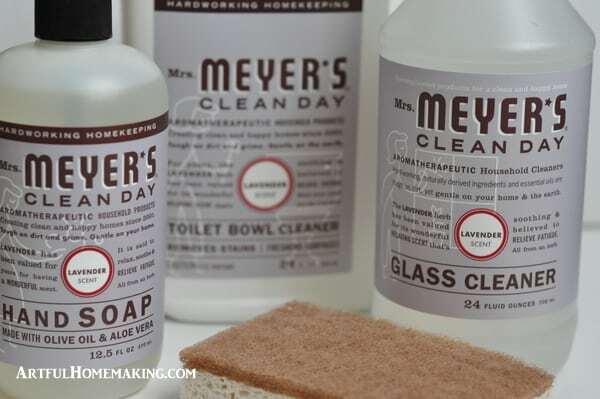 I recently received my first Mrs. Meyers products as a gift and I’m enjoying them. Thank you so much for sharing with us on Party in Your PJ’s. Thank you so much, Teresa. So glad you stopped by! You're welcome, Franca! Thank you! What is it about cleaning and organizing that is so therapeutic? I can so relate. 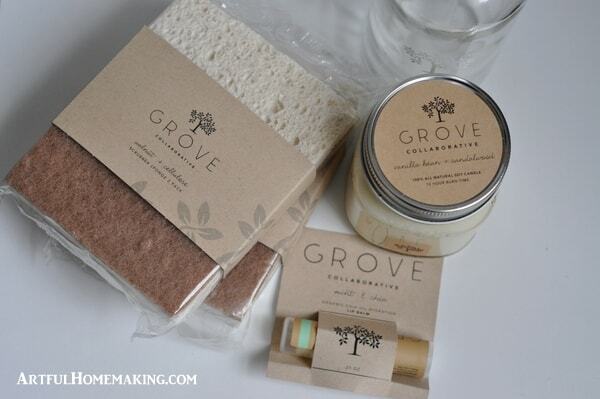 I think I may need to look into Grove Collaborative. 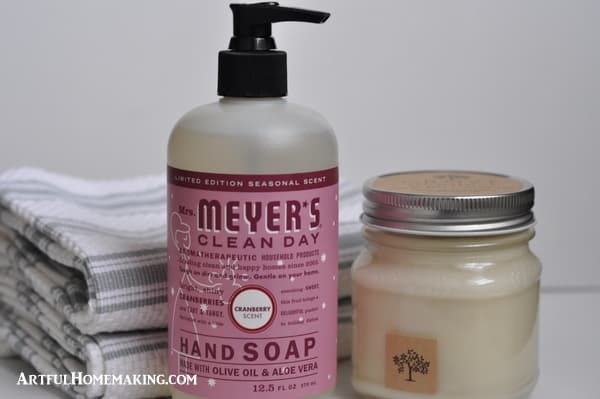 I recently discovered the Meyer's hand soap (Basil) and I LOVE IT. Those dish towels are lovely! I don't know what it is, but it always cheers me up to put things in order! Oh, we've had that Basil hand soap before, and I love that scent, too. So far I've loved everything from the Mrs. Meyers line that I've tried. And, yes, those towels…new favorites! 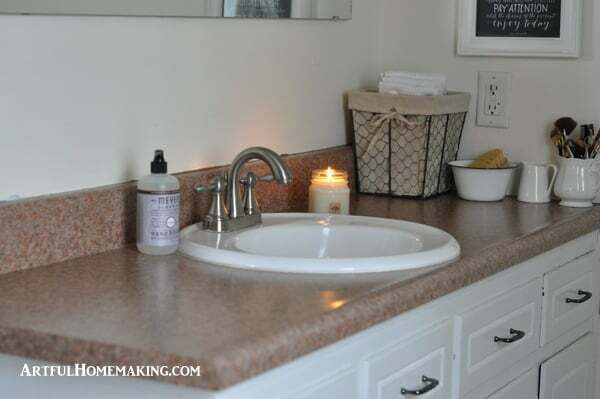 Your bathroom counter looks lovely, Joy! I have been unwell for a couple of months, so although my husband and children have done a huge amount to help, I will be looking forward to some spring cleaning when I feel better. Thank you for the printable, and the inspiration! Thank you Joy 🙂 It is actually pregnancy sickness, so it's all for a good reason! Have a blessed Easter, x.
I spent nearly all of February in the hospital! I came back wondering what happened to my house 🙂 but, remembering to be THANKFUL that a lot of people helped us while I was so sick!! 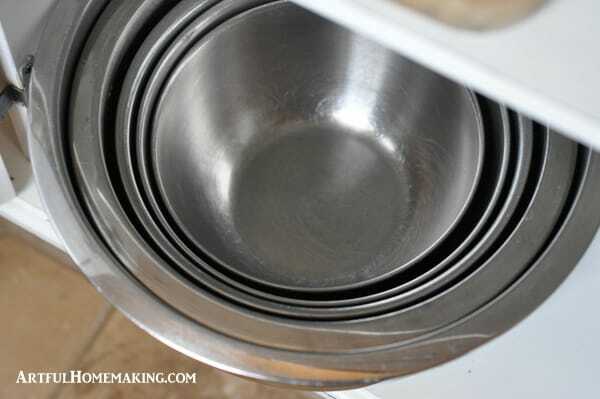 I frequently have looked at your posts and said a prayer for you every time I saw Artful Homemaking come up… I can say my house is basically, finally back in order; but I'm scratching "Spring Cleaning" this year 🙂 and I'm great with that! 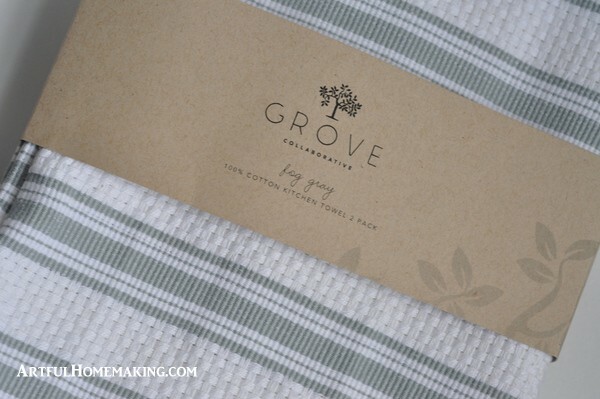 I love those new Grove Towels… I may break down and get some. They remind me of Williams Sonoma– but cheaper!!! Leanne, I'm so sorry to hear you've been in the hospital! I hope you're okay! And thank you so much for praying for me, that really means a lot, especially since you were going through your own trial!